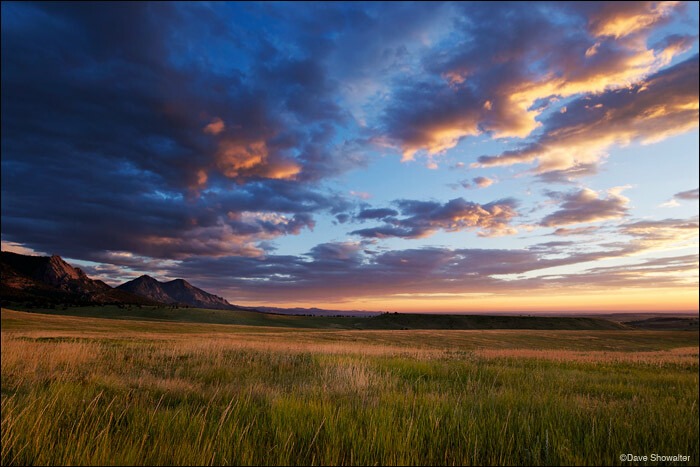 Sunrise lights the cloudscape over the Flatirons near Boulder, Colorado. Jefferson County and Boulder County have done a great job of securing land for open space that is designated multiple use. Refuge on the edge of a major metropolitan area. Photo © copyright by Dave Showalter.